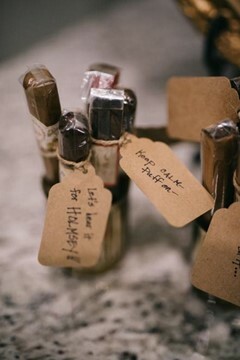 Five Tips For Hosting A Creative Cigar Bar At Your Wedding. As a Borrowed Charm wedding planner, taking care of our couple means not only creating the wedding of our Brides’ dreams, but creating something amazing for our Grooms as well. Why not add a little surprise to your Main Man’s big day as well! Something fun to consider is a well-dressed man’s area dedicated to the special gentlemen in your life. A cigar bar & lounge is the perfect feature for the guys to enjoy periodically while you’re busting moves on the dance floor with your nearest and dearest. 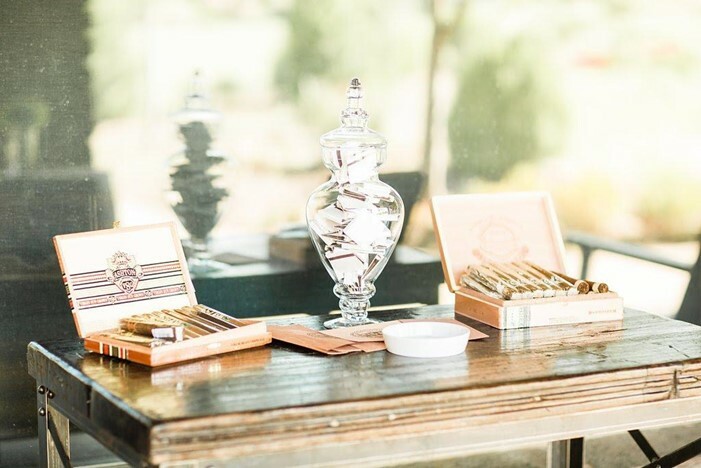 Here are five things to consider when implementing a creative cigar bar for your wedding reception. Tip #1: Talk to your Venue. 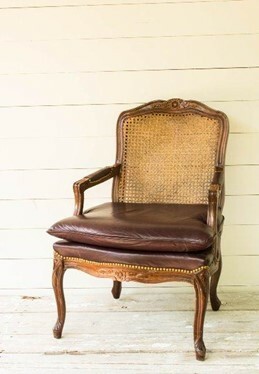 Each venue’s rules and client responsibilities are different. Find out what their “smoking” policy is and make sure it applies to cigars. You will want to make sure what receptacles are required for disposal, if ash trays are allowed, and if there are specific areas for smoking onsite. If you are hosting an outdoor event, the best place to feature your Cigar Lounge is on an outdoor patio or area that is away from kids and food, while still near the party. 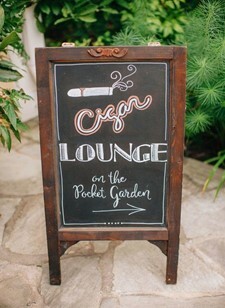 We love how Borrowed Charm Bride Taryn, utilized Cole’s Garden’s huge patio area to create an elegant Cigar bar, within clear sight of the reception, while keeping the smoke away from guests. If your wedding is indoors and a cigar bar is allowed, be sure to place the cigar bar in a well ventilated area and out of the way to ensure none of your wedding guests are affected. Tip #2: Consider your audience & get creative! You know them best, so you will want to implement a cigar bar with things your guests will enjoy. Create an atmosphere that will spark up conversation and will prove a fun environment for your guests to remember. 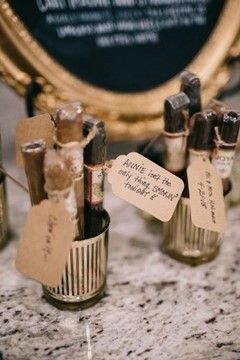 With Borrowed Charm Bride Annie’s wedding, she used cigars to create fun tags with hilarious taglines keeping guests laughing through the night. 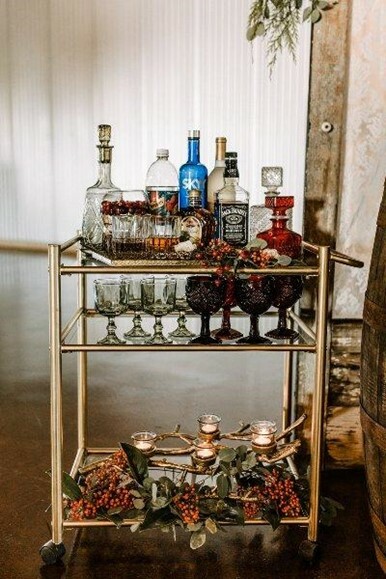 Our bar cart display, makes a great display for cigars or specialty items, while our vintage cigar box collection are great vessels to hold select cigars, cutters or any other necessities. 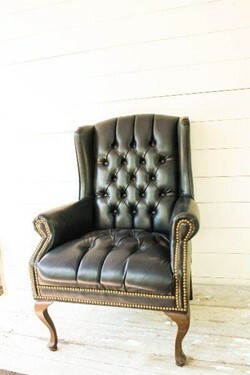 Tip #3: Bring in lounge furniture! 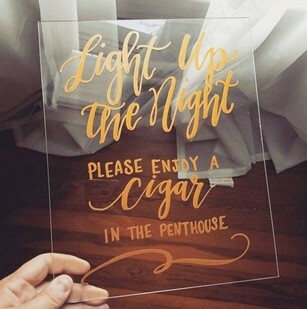 If you are considering having a cigar bar as a unique feature for your wedding, why not go all out? 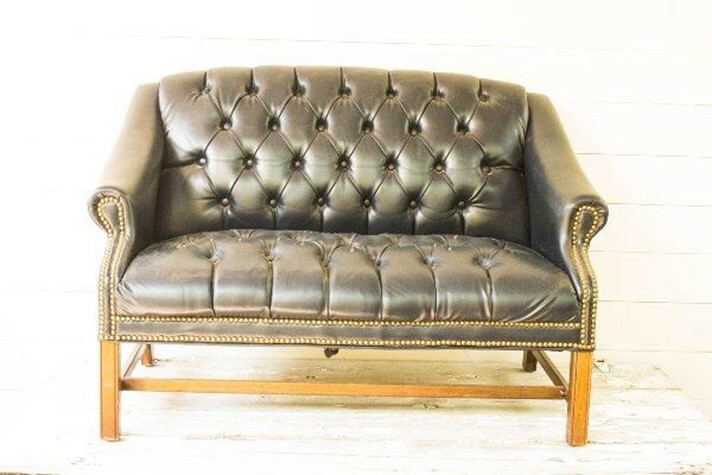 Borrowed Charm’s NEW leather lounge collection, layered rugs and beautiful accent tables provides the perfect pieces to bring your cigar bar to life where the guys can relax. Thinking about more than just cigars? You can’t go wrong with alcohol inspired decor. 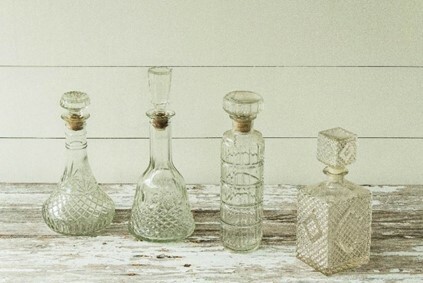 Our vintage etched decanters add some more “oomph” creating the perfect bourbon + cigar pair. Tip #5: Contact your local cigar shop! 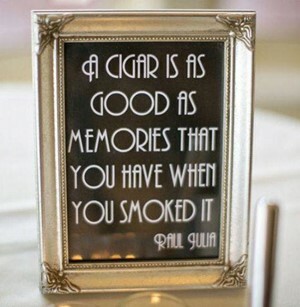 Jump on their expertise and hire a someone to man the cigar bar and liven up the experience at your wedding. 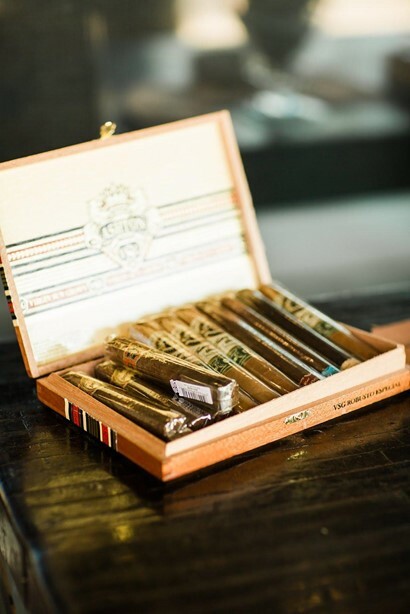 This will allow someone to provide recommendations on all things cigar and give the guys someone to chat with about their new cigar experience. To find out more about Borrowed Charm Wedding Planning and our team of Wedding Planners, email hello@borrowedcharm.com and see how we can create a beautiful event full of details to reflect you.